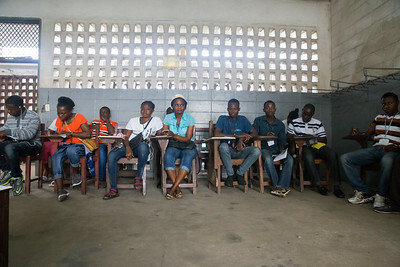 Place: Monrovia, Liberia Date: October 7, 2017 A training class for Liberian election observers prior to the 2017 presidential election. 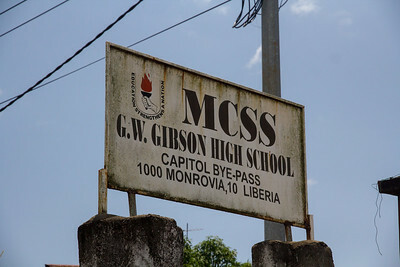 Monrovia Liberia October 5, 2017 - Signage for the GW Gibson High School. 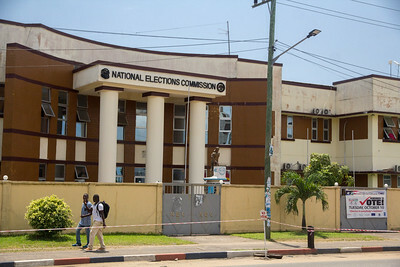 Monrovia Liberia October 5, 2017 - The National Elections Commission of Liberia. 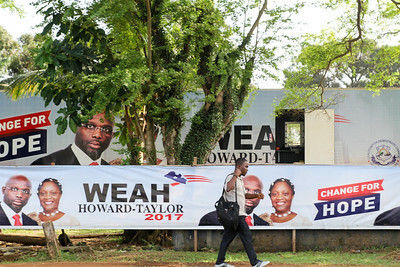 Monrovia Liberia October 5, 2017 - A man walks past political signs prior to the 2017 presidential election. 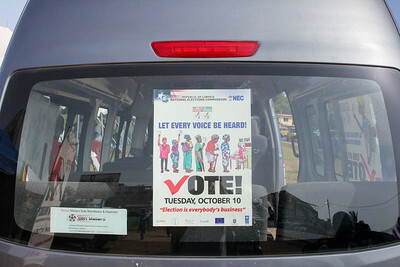 Monrovia Liberia October 5, 2017 - Signage on the back of a van encouraging everyone to vote in the 2017 presidential election. 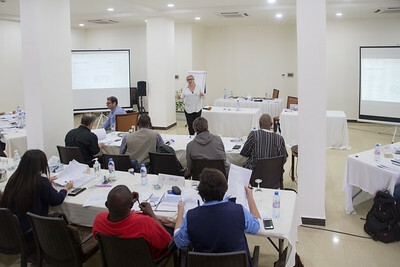 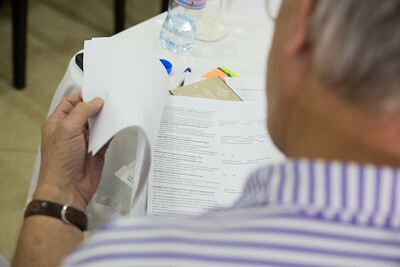 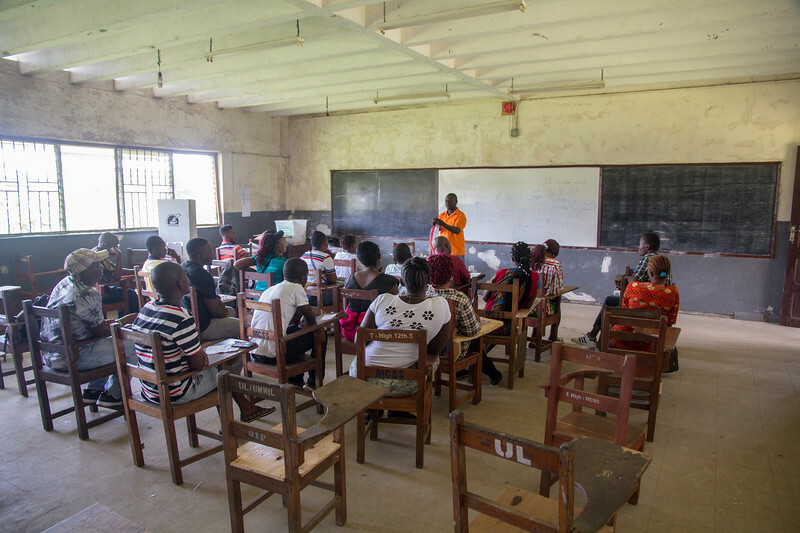 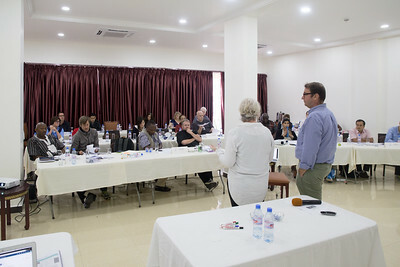 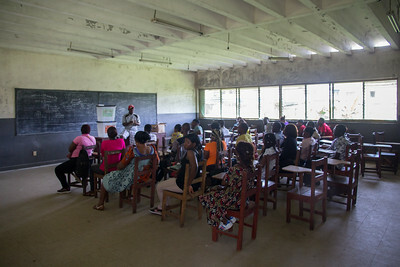 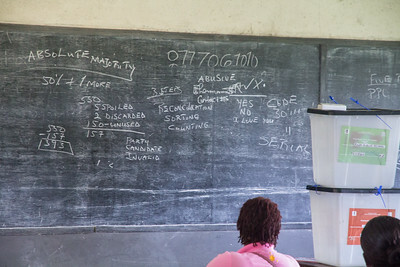 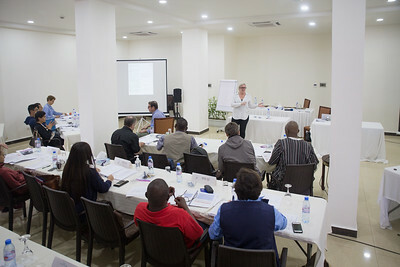 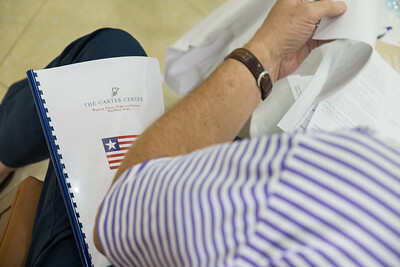 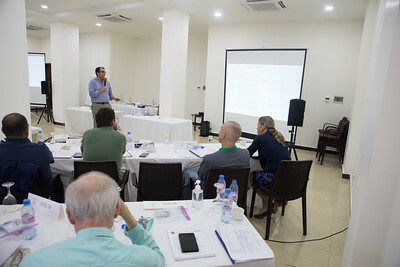 Monrovia, Liberia October 6, 2017 - Short Term Observers receive training prior to the election. 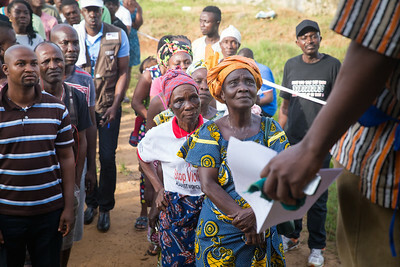 Monrovia, Liberia October 6, 2017 - Short trem obsevers in trainig prior to the 2017 election. 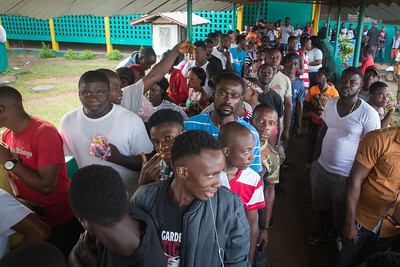 Monrovia, Liberia October 10, 2017 - Voters stand in line at a polling precint on election day. 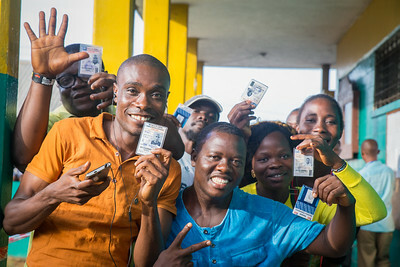 Monrovia, Liberia October 10, 2017 - Voters display their voter cards on election day. 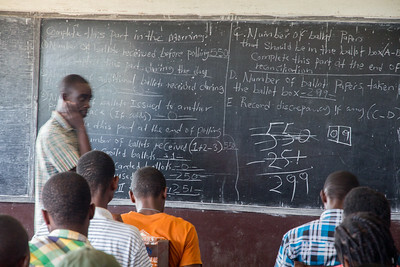 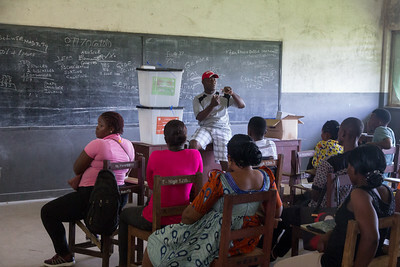 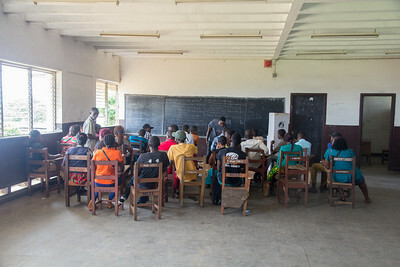 Monrovia, Liberia October 10, 2017 - Election observers watch a polling room on election day. 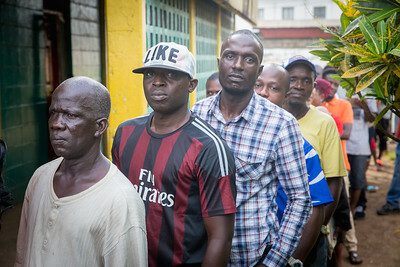 Monrovia, Liberia October 10, 2017 - Voters stand in line on election day. 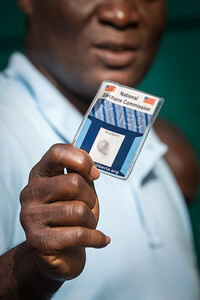 Monrovia, Liberia October 10, 2017 - A voter stand in line on election day displays his voter ID card. 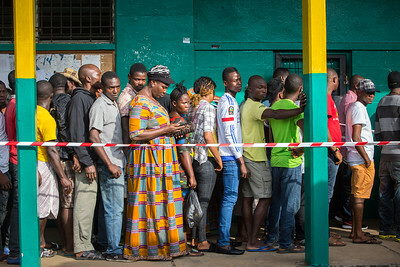 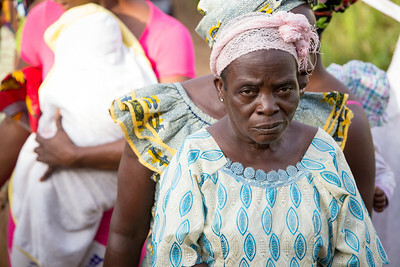 Monrovia, Liberia October 10, 2017 - A voter stands in line on election day. 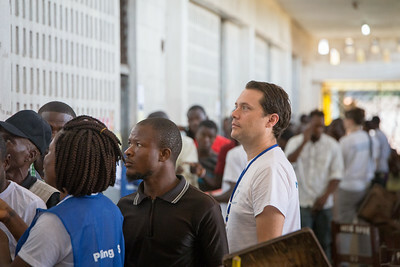 Monrovia, Liberia October 10, 2017 - Jason Carter stands outside of a voting room on election day. 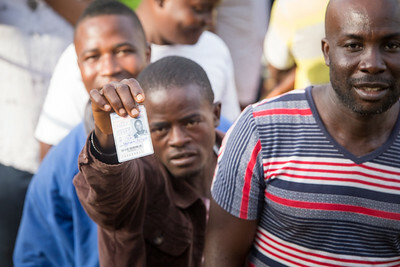 Monrovia, Liberia October 10, 2017 - A voter shows his voter ID card while standing in line on election day.